ACT and Director John Langs completely nailed it again and then some. I saw the production last year of ACT’s Seattle tradition of “A Christmas Carol” and found myself struck by how well they conveyed this classic tale. And as much as I enjoyed it last year there was something even more magical and special in the air for this year’s production (or they spiked my eggnog) as I completely found myself swept away by this incredible show and, yes, crying my eyes out. The show has always been a winner in the hands of ACT and is even more so in the hands of Langs and this cast and crew. It’s truly something special and we should be grateful we have it here with us. The cast is superb… The three ghosts who speak (Christmas future never has too much to say) each managed to bring stunning elements. 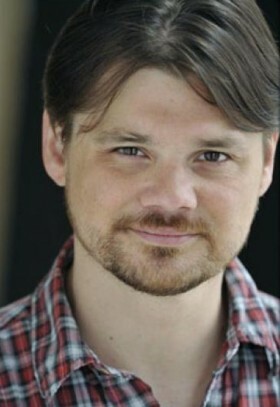 David Foubert as Marley was totally creepy and laser focused. David and the cast of A Christmas Carol can be seen through December 28, 2014. Click here to read the full review. 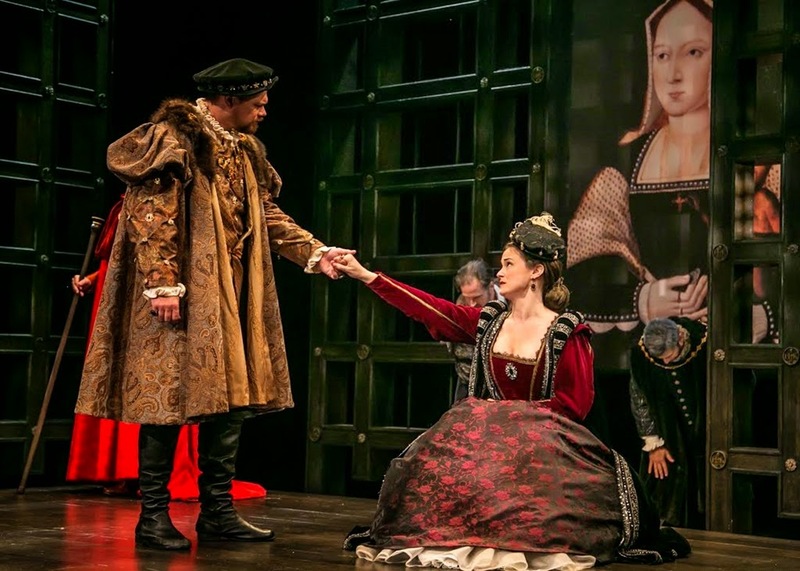 ‘Henry VIII’ closes November 9, 2014. David Foubert gives a commanding, layered performance in the title role. His Henry first appears loud and brash, as though he might be more at home in a tavern than at the court. He is volatile, and quick to anger, yet at key moments he is also mesmerizingly still and stately. When he claims he is tormented by conscience about his marriage to Queen Katherine – his late brother’s wife – his anguish, if not necessarily the reasoning, is believable. As he considers the possibility that he may not produce a male heir, he comes across slightly unhinged in a way that foreshadows his tumultuous future. Congratulations to the entire cast and crew for their fantastic work. 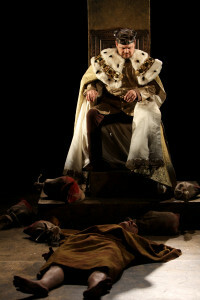 Henry VIII runs through November 9th. David’s debut at Seattle’s ACT (A Contemporary Theater) was a smashing success! The three-play roster made critics laugh, but also spurred a significant amount of discussion and thought. David’s turns as “The Magician” in Steve Martin’s Patter for the Floating Lady and “Cisco” in Sam Shepard’s The Unseen Hand were very well-received. David had a wonderful time and looks forward to returning to ACT in November! 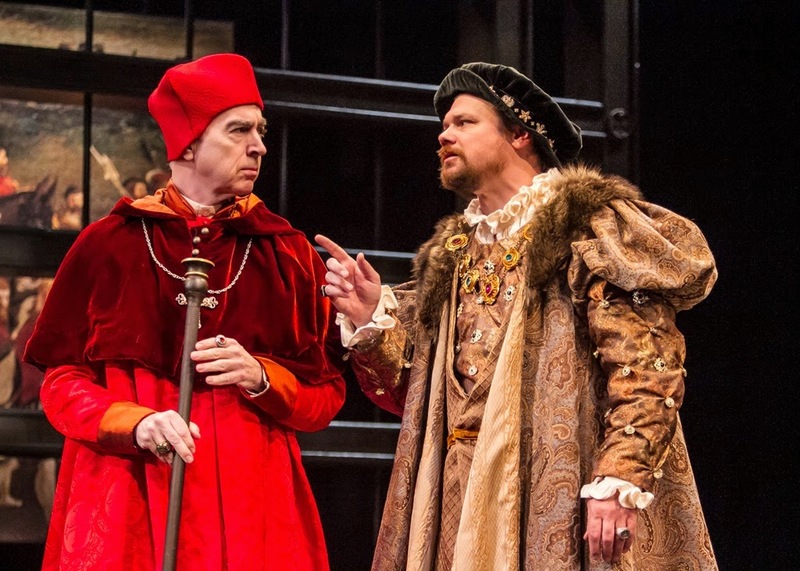 David Foubert as Henry Bolingbroke and George Mount as Richard in Seattle Shakespeare Company’s production of “Richard II”. Photo credit John Ulman.